WhyDonate is an Amsterdam based crowdfunding platform for social projects. It caters to non-profit organizations, fundraisers and social projects. 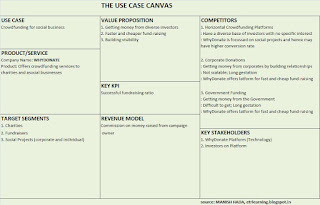 The Use-Case Canvas for 1 use-case of the company is shown below. 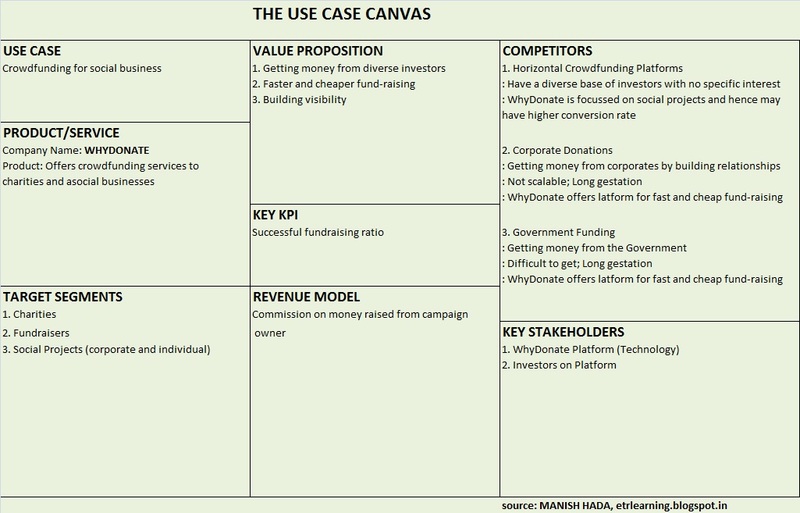 The use-case in focus is where the company offers crowdfunding services to social projects.